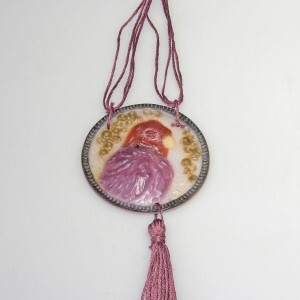 With an interest in drawing, physics and chemistry he first attended Ècole Breguet and in 1902 Ècole de Sèvres where he met the son of Henri Crois. 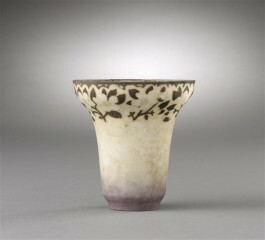 After graduation he worked in a research laboratory for dental porcelain. 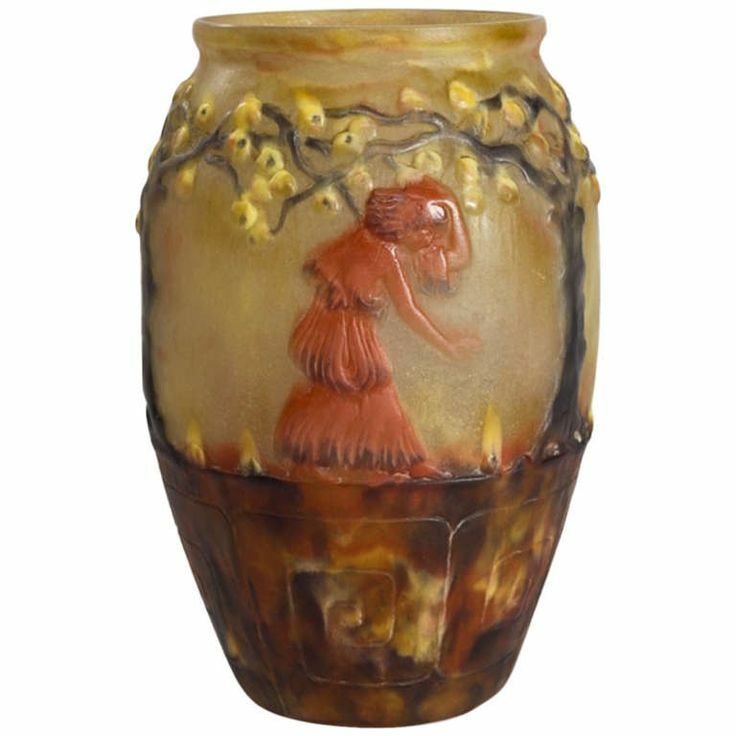 In 1913 he married Marianne Argyriades. 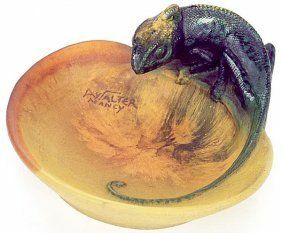 He was a sculptor, ceramicist and glass master working in glass pastes as well an his sculpture where he worked in molten crystal. He developed several patents during WWI intended to benefit the Ministry of Defense. He had a workshop that employed 20 workers but ran into economic hardship and had a business financer Moser-Millet. 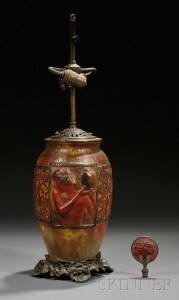 Strife existed due to Moser-Millet’s insistence on producing religious items. Moser-Millet closed the factory in 1931. Rousseau bought was he could from the liquidation and created work from 1934 to 1937. 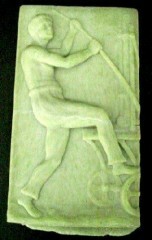 During World War II raw materials and fuel were difficult to obtained and he became deeply in debt. He worked until his death in 1953. 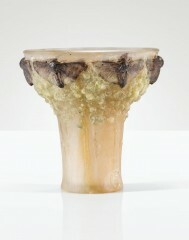 English artist and glassmaker. 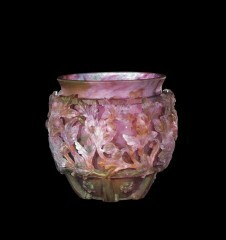 In 1881 he helped re-introduce colored glass at Stevens & Williams. 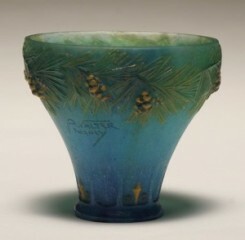 He then emigrated to the United States where he with Thomas Hawkes co-founded the Steuben Glass Works, Corning New York. 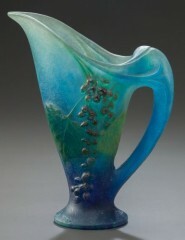 Almaric Walter studied at the Sevres factory. He gets a prize at the Universal Exhibition of 1900. 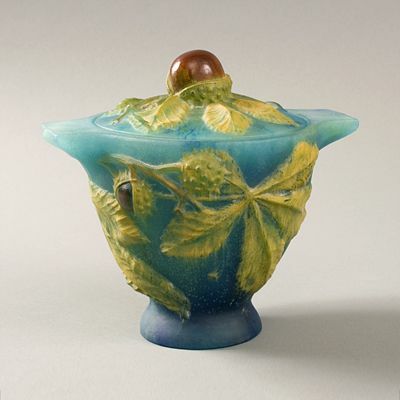 In 1905 he joined the Daum House where he worked with the help of Henri Bergé; he created over 100 models of glass pastes with bright colours in the Art Nouveau style. 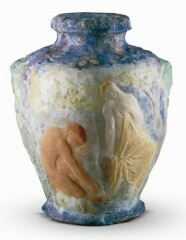 In 1919 He left the Daum House to found his own workshop in Nancy, France. Henri Bergé followed him there where 500 different models were produced with several designers. He left the Farm Shop in 1935 and Nancy in 1940 during the German occupations, returning in 1945. 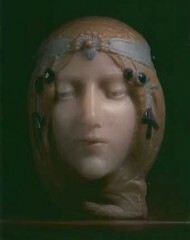 Décorchemont came from a family of artists, his father was a sculptor. 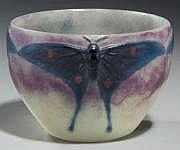 He worked as a master ceramic and glass artist. 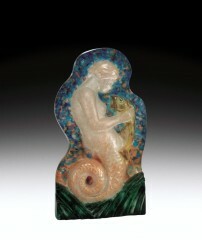 He developed using lead crystal pastes of glass rather than traditional soda lime glass. 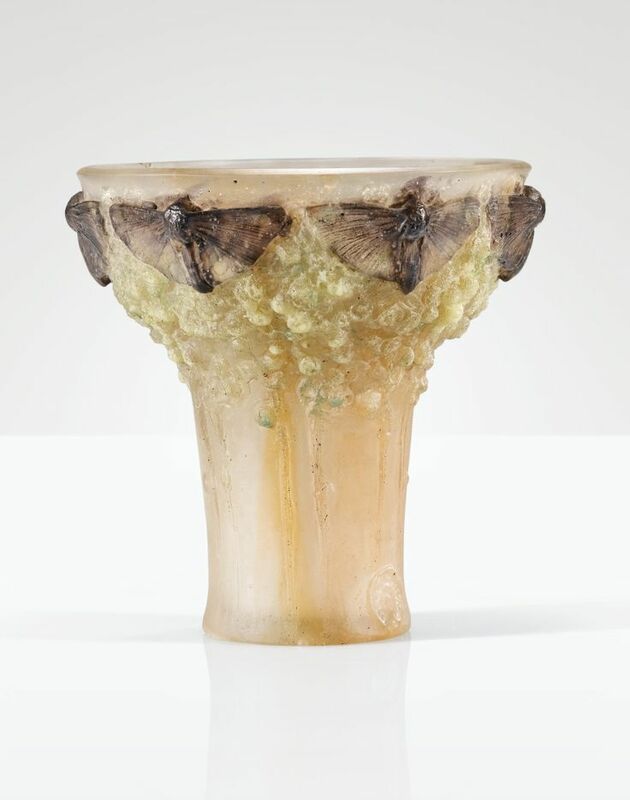 He is the grandfather of Antoine and Ètienne Leperlier who carried on the family tradition of working with pâte de verre. Georges Despret (b 1862- d 1952) was trained from childhood by his uncle Hector Despret; trained to be his successor in the manufacturing of ice who then managed a Special School of Mines and Arts and Manufactures of Liège. George Despret took responsibilities in various fields of industry and finance but his works and bombing during the two world wars destroyed technical and iconographic archives. 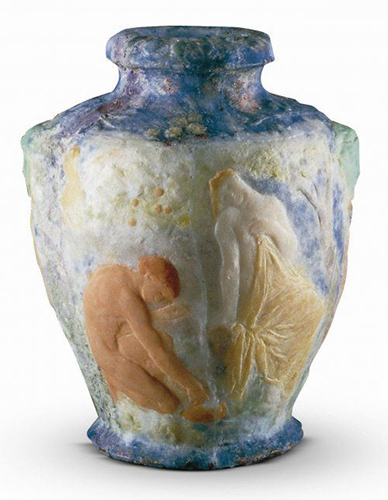 Albert-Louis Dammouse (1848-1926) Ceramics designer, son of a sculptor for Sèvres and factories in Limoges. 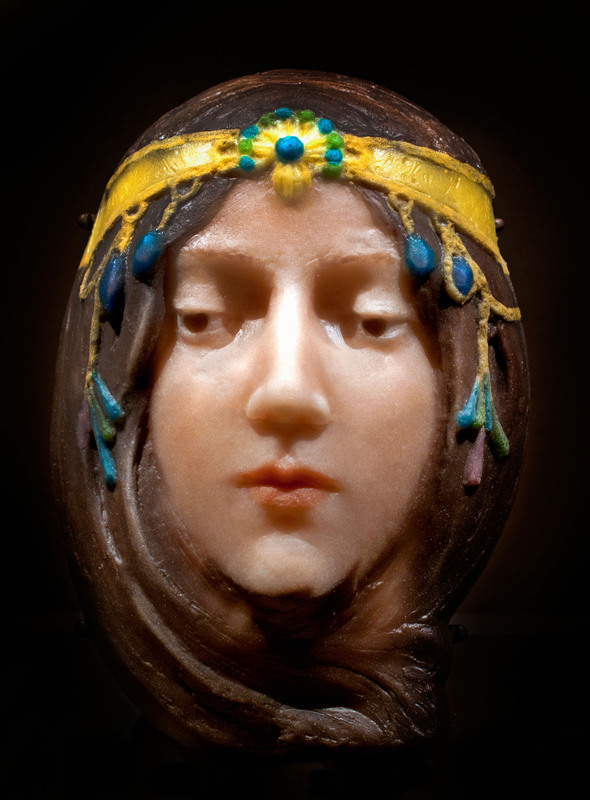 In the 1900 he displayed glass paste Coupe at the Grand Palais (Musée d’Orsay) in Paris. 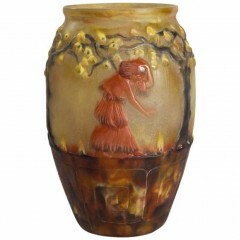 The Iris vase with its scalloped edges is one of his iconic pieces. 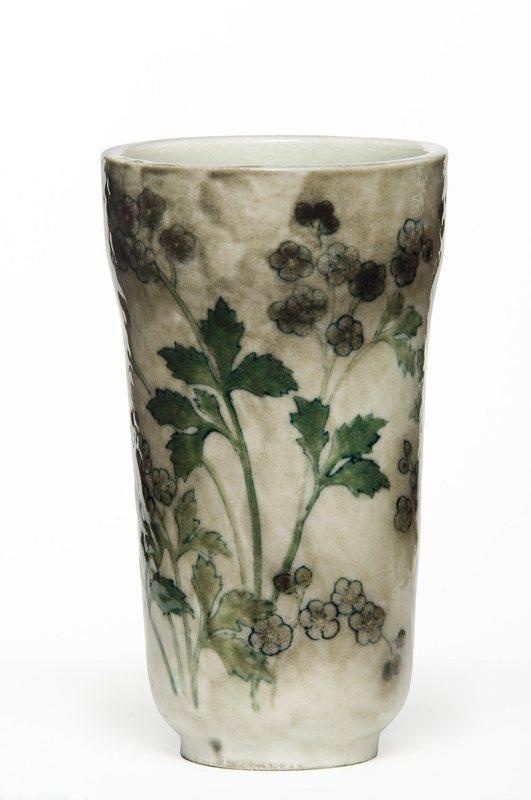 The info of the name of the vase is in error as the vase is similar to the Anemone. 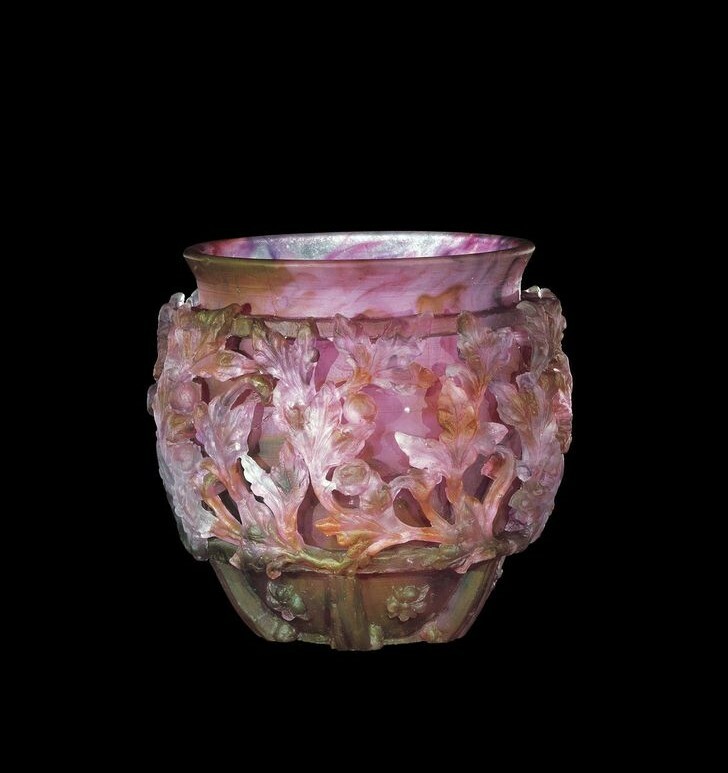 Instrumental to the resurgence of Pâte de Verre Henri Cros worked in polychrome wax, ceramics and Pâte de Verre.From lesartsdecoratifs.fr VaseLOUVRE OA 6744 © Les Arts Décoratifs / photo : Jean TholancePastoraleHenry Cros (1840-1907) France, vers 1895-1900 Pâte de verre moulée, polychrome, décor en léger relief Dépôt Musée du Louvre, 1919 Inv.